Features colourful wooden beads on red and blue wires. 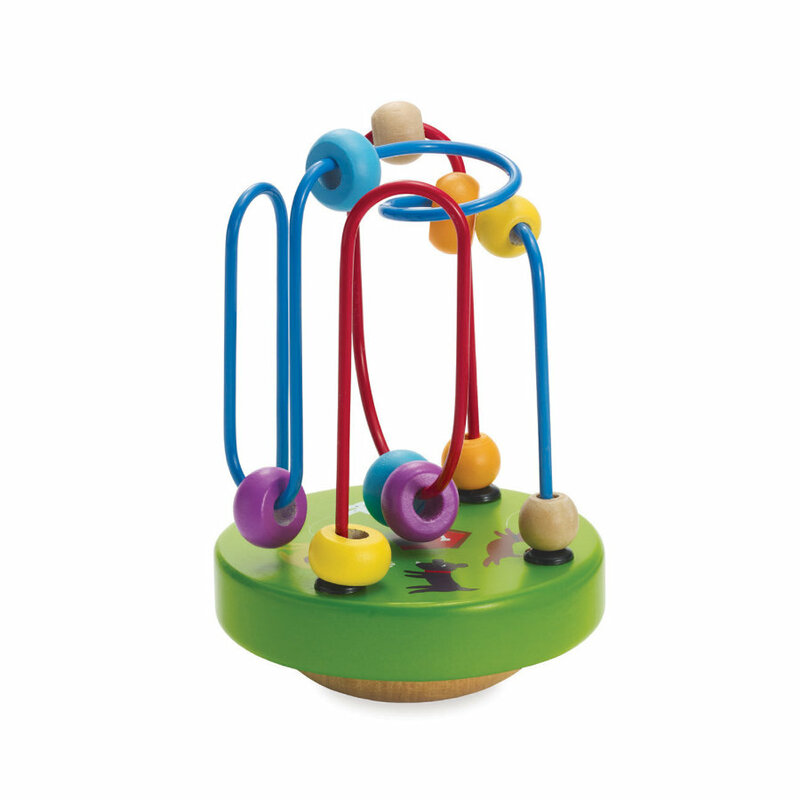 The colourful wires are attached to a solid wood base that wiggles and rotates. Features a cute dog design.